In a note seen by AppleInsider, Kuo is predicting a 10 percent to 15 percent decline year-over-year for the industry as a whole, with Chinese brands needing to rely on international sales to maintain growth. Without providing details, Kuo maintains that the "replacement demands of the iPhone XR on the Chinese market will be better last year's demand for the iPhone 8 series." Factors contributing to the decline in China brands beyond innovation issues are consumer faith shaken by a potential trade war, customers sticking with "more affordable legacy iPhone models," and the imminent release of the iPhone XR. The $749 iPhone XR is powered by an A12 Bionic chip with newly updated Neural Engine. The chassis is made from 7000 series aluminum instead of surgical grade stainless steel, although both front and back are covered by glass panels. 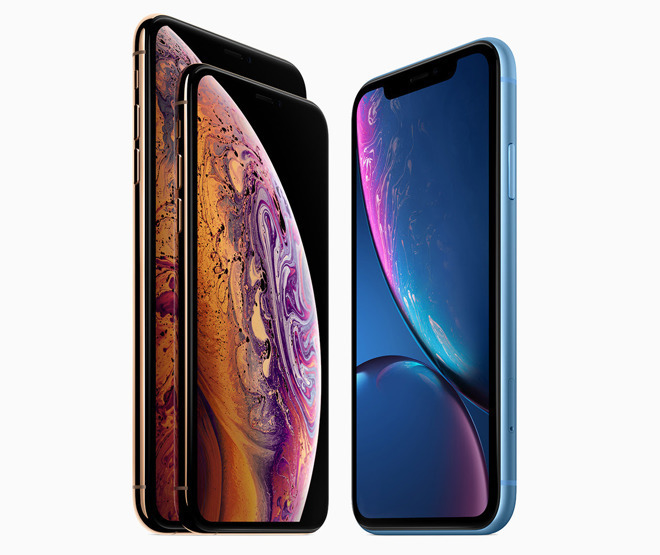 It has an edge-to-edge screen, just like the iPhone XS, except instead of a Super Retina OLED, the iPhone XR includes a 6.1-inch Liquid Retina Display, which is an advanced LCD display. It also features Apple's updated Face ID, just like the iPhone X and iPhone XS, and comes packing the same wide-angle camera.